Showing results by narrator "Howard Beckerman"
Sing your way to a new language, anytime, anywhere! 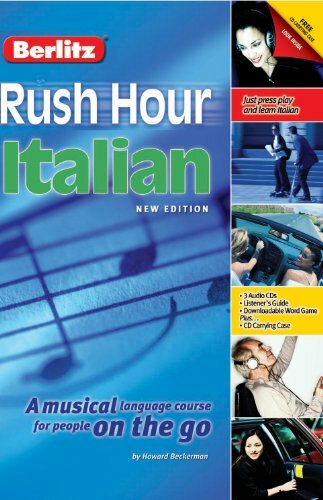 The new enhanced edition of Rush Hour Italian includes two audio programs, a bonus music-only version of favorite Rush Hour songs, and a free downloadable word game (see www.berlitzbooks.com for link). Original music and catchy songs help you remember everyday words, phrases, and sentences, and the exciting storyline keeps you involved. Fun to use alone or with your family! Sing your way to a new language, anytime, anywhere! 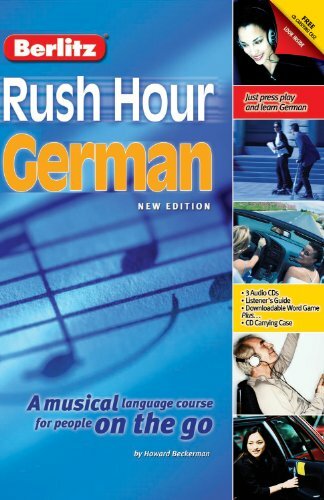 The new enhanced edition of Rush Hour German includes two audio programs, a bonus music-only version of favorite Rush Hour songs, and a free downloadable word game (see www.berlitzbooks.com for link). Original music and catchy songs help you remember everyday words, phrases, and sentences, and the exciting storyline keeps you involved. Fun to use alone or with your family! Sing your way to a new language, anytime, anywhere! 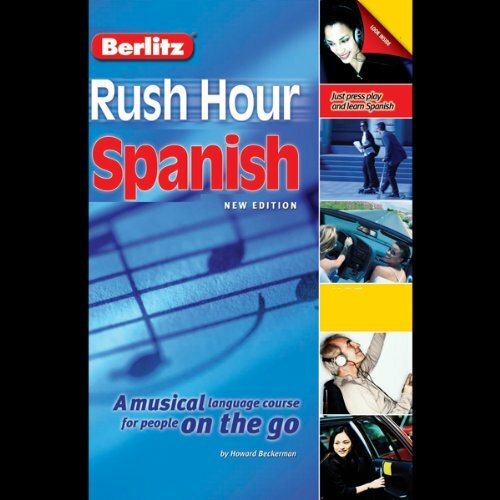 The new enhanced edition of Rush Hour Spanish includes two audio programs, a bonus music-only version of favorite Rush Hour songs, and a free downloadable word game (see www.berlitzbooks.com for link). Original music and catchy songs help you remember everyday words, phrases, and sentences, and the exciting storyline keeps you involved. Fun to use alone or with your family! Sing your way to a new language, anytime, anywhere! The new enhanced edition of Rush Hour Ingles includes two audio programs, a bonus music-only version of favorite Rush Hour songs, and a free downloadable word game (see www.berlitzbooks.com for link). Original music and catchy songs help you remember everyday words, phrases, and sentences, and the exciting storyline keeps you involved. Fun to use alone or with your family!